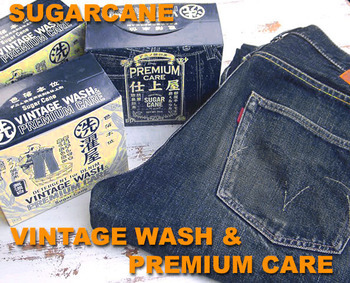 Detergent & finishing agent from SUGARCANE for denim washing VINTAGE WASH laundry and PREMIUM CARE this product contains amino acid-based surfactants. 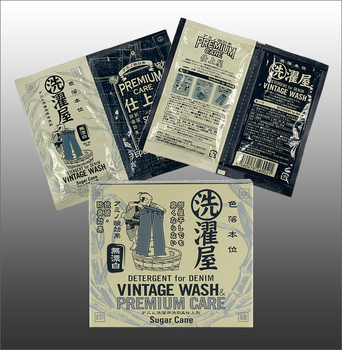 For denim use only, as a main component of unbleached and natural fatty acids for denim detergent and antibacterial cosmetic ingredients are based on amino acids, a set of excellent deodorant finishing agent. 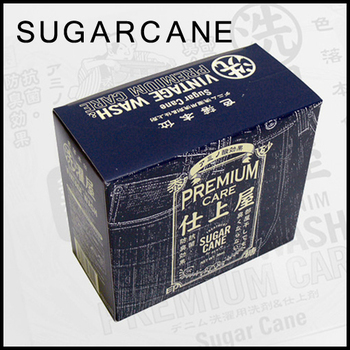 10 Pack carton. Prepare cold water, approxmitely 8 gallons or 30 litres into bath tub or an adequately large container. PLEASE DO NOT WASH IN HOT WATER. By washing in hot water, the indigo blue dye will lose its natural shade and you risk severe indigo loss. 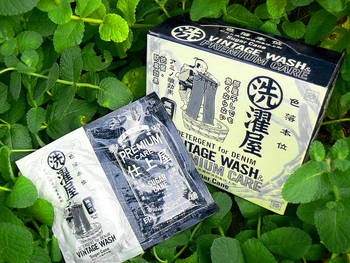 Mix the VINTAGE WASH laundry detergent with water. Add jeans and submerge for 20 minutes and lightly hand wash. After about 2 minutes in the water, the enzymes in the vintage wash will start taking effect and you will notice the water becoming murky. Hand wash the jeans. Rinse your jean with cold water and ensure all the detergent is totally washed away. 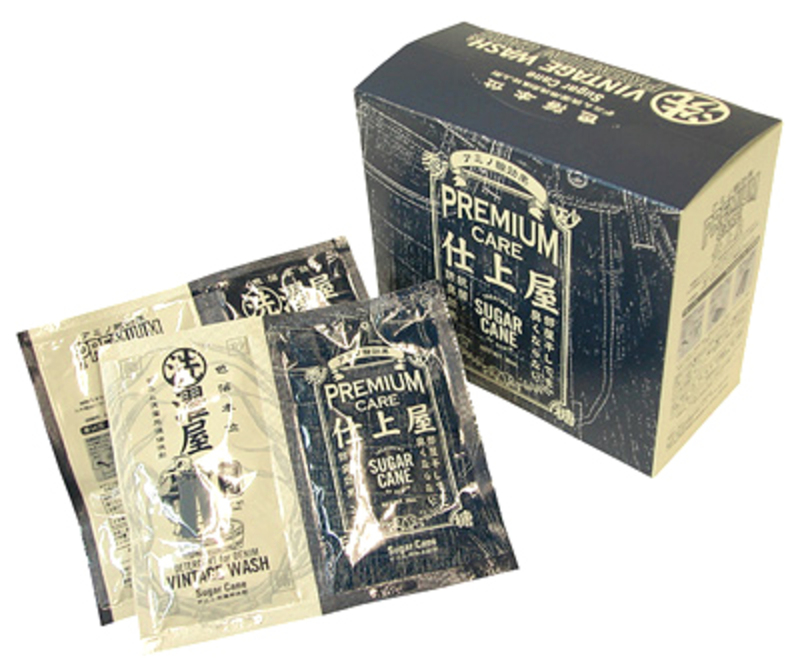 NOW AGAIN Prepare warm water of 40C or 104F approxmitely 0.8-1.3 gallons or 3-5 litres into a bath tub or an adequately large container. 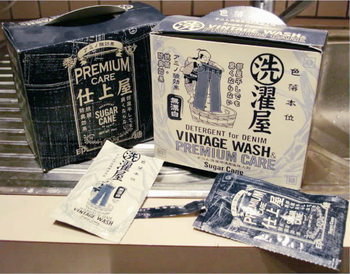 Mix the PREMIUM CARE Treatment for DENIM solution to the warm water and soak your jeans for 20 minutes. Dry your jeans in the shade and NOT in direct sunlight to avoid fading in the sun.